The sweet potatoes which came from tropical America are grown mainly on small scale as stable food in most parts of Africa. 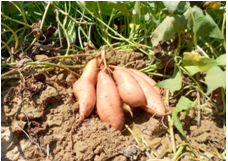 The sweet potato is a starchy and sweet tasting tuberous root vegetable. Sweet potatoes have a creamy texture and a sweet taste that makes them nice to eat. The tubers take four to five months to mature and you have to consume them promptly to avoid them getting spoilt. When they have just been planted into the soil, they can be intercropped with beans and maize. The maize must however be spaced. 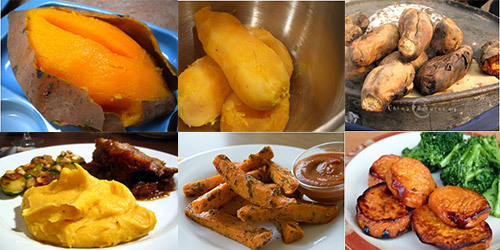 Sweet potatoes can be eaten boiled, mashed, roasted, fried, creamed, baked in their skins or a soup. 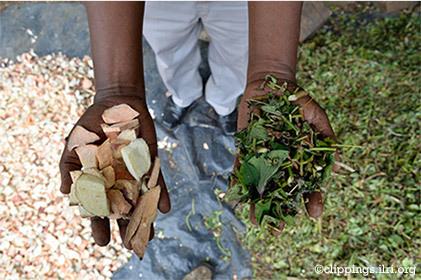 The root tubers, green stem and leaves can be used as animal feed. They are an excellent source of carbohydrates. The potato tubers be preserved fresh using modern methods of cold rooms or dried into flour using sunshine or other drying mechanism. The post Sweet Potato appeared first on Muhaise.com.